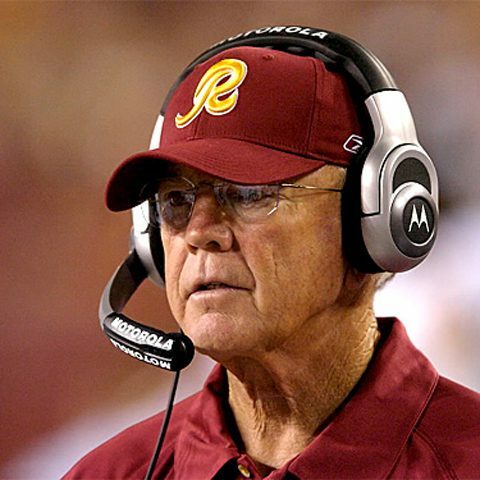 In a dozen seasons coaching the Washington Redskins, Coach Joe Gibbs led them to eight playoff appearances, four championship titles and three Super Bowl trophies. Then, he retired only to get into NASCAR racing – again piling up the wins. As a result, Gibbs has spent a lot of his life giving pep talks – sketching out game plans on a chalkboard, inspiring his team to get out there and do whatever it takes to win. He’s put 40 of those locker room chats down on paper in a sequel to his bestselling Game Plan for Life. The new book is Game Plan for Life Chalk Talks. Each chapter is based on a key moment in his life. And he admits some of it has not been pretty. Gibbs is living proof of the athlete who compensates with heart and hustle whatever he lacks in athletic ability. After a successful college career as quarterback for San Diego State University, Gibbs says he had to accept the truth that he wasn’t good enough to play pro football. He saw something in them that they couldn’t see. And he inspired them to greatness. Instead, his longtime coach and mentor Don Coryell assigned him to help a then-unknown assistant coach – John Madden, who went on to coach the Oakland Raiders to the Super Bowl and provide several decades of TV sports commentary before he was inducted into the Hall of Fame. 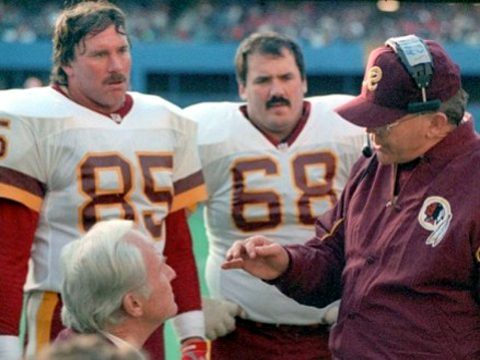 Under Coryell and Madden, Gibbs became an effective offensive line coach at San Diego State, then was recruited to work at Florida State. Then, he served under John McKay at the University of Southern California and Frank Boyles at Arkansas. After that, Coryell recruited him to help out with the St. Louis Cardinals. Then McKay called him to come be an assistant coach for the Tampa Bay Buccaneers. 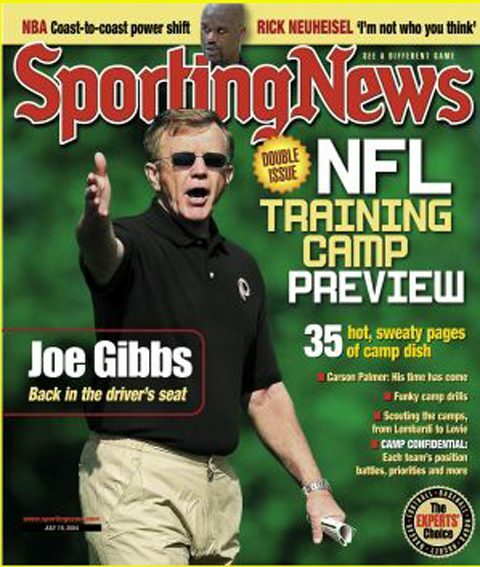 Then, Gibbs rejoined Coryell with the San Diego Chargers, but in 1981, Redskins’ owner Jack Kent Cooke asked him to become head coach in Washington. “Only through a miraculous set of circumstances did I get to coach in the National Football League,” marvels Gibbs. “I’ve been blessed beyond belief. Most people never get to live one dream. I’ve gotten to live two” — NFL football and NASCAR. Given his ability to pull the best out of mediocre players, does he ever wish he’d had a coach who could have done the same for him? Almost indignantly, Gibbs disputes that any of his players were ever mediocre. Then, he applauds Coryell for inspiring him to coach. “I had probably one of the best coaches who’s ever been in any kind of sports. He belongs in the Football Hall of Fame. But physically I was just an average athlete. I wanted it and went after it hard. I was coachable, but I was limited, so Don inspired me to put my love of football into coaching. As a college player, was Gibbs a Christian? “I gave my life to Christ at 9 years old,” he remembers. “The first big decision I had in life came when I was in the third grade at a small elementary school in Sand Hill, North Carolina. I can remember in school being told that two amoeba happen to hit in a muddy puddle of water two billions years ago and I was the result. “They were saying I was an accident. I was looking at that and now my grandmother had told me something completely different. In church, the pastor had told me something totally different, too – that there is a loving God who is all-powerful, all-knowing and all-loving who knit me together in my mother’s womb – who made me special and different. “God put this whole world together and He wanted to have a personal relationship with me. So, it was an easy decision. “In life, that’s probably the decision almost every single one of us is going to make it at some point. So, having become a Christian, was he pure and holy his entire childhood and as a teen and a college student? Did his faith change the way he coaches? So, once he submitted to God’s game plan, his life an easy, fulfilling road to success? Not at all, admits Gibbs. “We’re all human. We don’t stick to the plan. There are several different periods in my life where I wasn’t listening to God. “So, I ventured off without studying God’s game plan for me, the Bible, and wound out getting into a financial disaster. Everybody else involved filed bankruptcy. It was a monumental mess. If I’d only followed a very important principle in God’s Word, never co-sign other people’s loans! Is it fair to put God on the spot – since the other coach is probably also praying for a win? “I think all of us in sport are probably guilty of that at some point,” said Gibbs. “I think I used to feel guilty about being a coach, too. It’s almost like ‘Hey, why don’t you get a real job?’ but I came to the conclusion that God makes football players, racecar drivers, owners and, yes, coaches. I think God made me to be a coach and he’s blessed me with opportunities. My goal is to try and be the best coach that I can be. What should a coach’s highest priority be? Winning? Developing character? Making a name for himself? “You know, I’ve pondered that a lot and my answer is, for me, number one in my life should be my relationship with God. Second in my life should be the impact that I’m having on others. 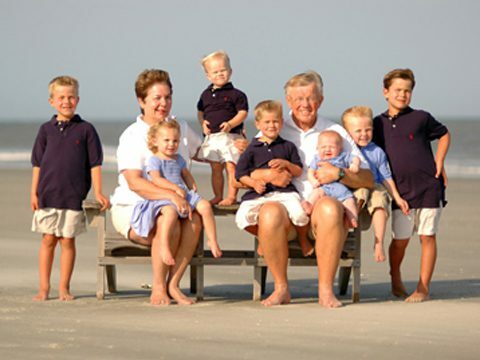 That can be my kids, my wife, my friends, business people that I’m around, my grandkids – the influence I have on others. “So where does that put my occupation? Third. “I think if God has given you great gifts to do certain things, then you don’t want to waste them. If your occupation is the third most important thing in your life, you are going to be successful. “Because of the other two priorities, you are going to get there early, you are going to stay late, you’re going to put everything into your job. Gibbs says that coaching can be one of the most important jobs anybody ever undertakes. “If you think about where we are currently in America, coaching is one of the few places that’s left where we have discipline. Youth coaches have a huge impact on those young people he or she’s working with. “Some of the people who had the most impact on me were my coaches. NASCAR? Yes, once Joe’s football coaching years drew to an end, his good friend Don Meredith suggested he look at the National Association for Stock Car Auto Racing. 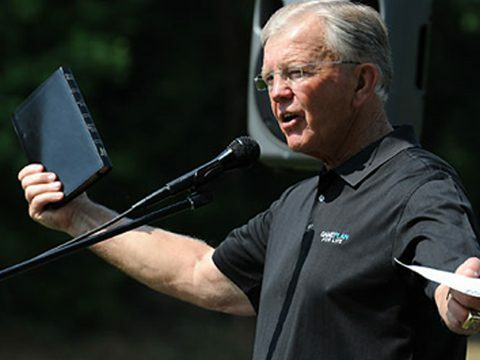 Joe Gibbs Racing was launched in 1991 with major sponsors Home Depot, FedEx, Mars Candy, Coca Cola and, later, Toyota eager to join a proven winner. At last count, the Gibbs racing team has won three NASCAR Cup championships. In the Sprint series, the team includes driver Denny Hamlin’s #11 FedEx Toyota Camry, Kyle Busch’s #18 M&M’s Camry and Joey Logano in the #20 Home Depot Camry. They also field Brian Scott in the #11 Dollar General Camry, the #18 Sport Clips/Pizza Ranch Camry driven by Hamlin, Michael McDowell and Mark Martin as well as the #20 GameStop/Sport Clips Camry for Logano and Hamlin. The team’s research and development department recently won the East Division of the NASCAR Camping World. Gibbs Racing is no small project — the main race shop is in Huntersville, North Carolina, has 450 employees working at a 250,000-square-foot facility. NASCAR then made a regulation change specifically to Toyotas which mandated them to run a smaller restrictor plate to cut horsepower by estimated 15 to 20 horsepower. Interestingly, after the rules changed, Toyotas went on to win 20 of the 35 races in the season. All but one of those wins were by Joe’s cars. Gibbs says there’s an important lesson here: integrity. “What kind of an impact do you want to leave on this earth?” he asks. “I’ve made mistakes — financially, occupationally, health-wise but that’s reason why I wrote my book – to lead people to realize that if we have a game plan for football and a game plan for NASCAR and if we have a game plan for business, then shouldn’t we have a game plan for life, too? The name of his books are Game Plan for Life and Game Plan for Life Chalk Talks. Does he feel like God had a specific plan for him? “Definitely. I wanted to be competitive and take off in life and be successful. 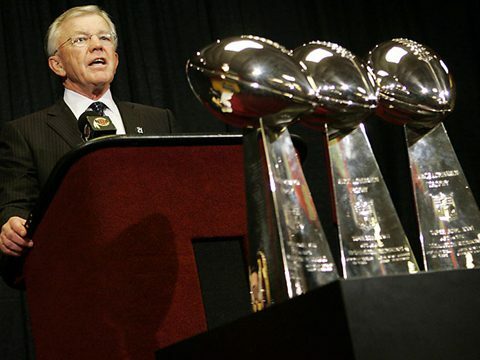 When I look back on it, how do you take an average guy who was only an average college football player—somebody who thought he’s never going to be coaching any higher than junior high school – he winds up getting to coach the Washington Redskins to three Super Bowl wins.